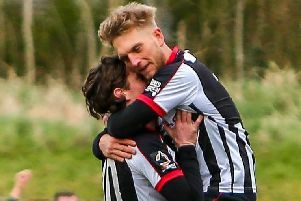 Ten-man Chorley tasted play-off heartbreak once again as a last gasp Dominic Knowles crushed their dreams of promotion to the National League. Chorley took the lead as Josh O'Keefe bundled the ball home in the 36th minute. But the Magpies found themselves a man down just before the break as Lee Molyneux was sent off for a high challenge. They defended valiantly but a handball in the box lead to Dominic Knowles levelling from the spot. It looked like it would be a repeat of last term's final when Chorley took Halifax to extra-time but it was not to be as Knowles popped up with an injury time strike to end Matt Jansen's side's bid for a spot in the final. Harrogate started brightly with Jack Emmett stinging Urwin's palms with a tame effort from distance. Chorley had the second strongest defence in the league behind Brackley Town but it was a case of lady luck rather than any solidity at the back as they had a lucky escape in the eighth minute. The ball fell to Mark Beck at the back stick but his effort was blocked by Urwin, though he failed to collect and the ball rolled agonisingly across the six-yard box, the goal was gaping and it eventually fell to Knowles but his effort clattered into the crossbar as Chorley just held onto that clean sheet. Harrogate proved why they had battled Salford for the title with some silky passing play as they out-classed the Magpies in the opening exchanges. Though Teague and company were resolute and stuck to the same ethos that gave them victory at Stockport in the eliminator, absorb the pressure and live on the counter. It was a physical and aerial battle at Stockport but Harrogate tried to undo Chorley's mean defence on the deck, and it was a tactic that asked serious questions of Jansen's men as they lost the midfield battle in the opening stages and exploited the advantage of knowing how to prosper on their plastic pitch. Emmett was at the forefront of Harrogate's good play pulling the strings in the middle of the park and he was instrumental in another move that saw them spray the ball around Chorley's half from left to right before Thompson saw an effort deflected out for a corner. Leather was booked after sliding in on Beck just inside Chorley's half and the forward dusted himself down to nod the ball wide at the back stick. The hosts continued to press but as the chances kept being wasted the 650 plus travelling Chorley fans started to sense it might not be the hosts day. Emmett again was a thorn in Chorley's side as he played a slick one-two with Beck that left the Magpies statuesque at the back though his effort was tame and was easily saved by Urwin. They were left kicking themselves once again as this time Thomson broke on the right, to give him credit he was at a tighter angle than the wasteful Emmett but he too missed flashing the ball wide of the left stick. The away fans chanted Chorley, Chorley, like a bunch of soothsayers after those misses, sensing like many in the ground that the hosts would pay the price for not making their dominance pay. The Magpies were on the ropes but this side never gives up. And they showed they had the players to bite back as Walker gave the hosts a warning they did not head, creating something out of nothing, pirouetting in the box to flash a Carver knock-down just wide. Then in the 36th minute, just seconds later, they were ahead, Newby the architect putting the ball on a plate for Chorley's number eight O'Keefe to show his opposite number Emmett how to finish. 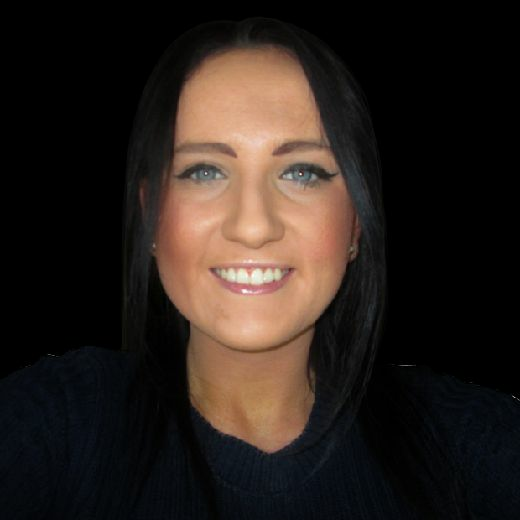 But then the referee took centre stage as Rebecca Welch made the decision to show a straight red card to Molyneux for a tackle on Ryan Fallowfield right next to the opposition dug-out. Molyneux was judged to have gone in with a high challenge and the referee ruled it was dangerous play brandishing the straight red just before the break. It had the potential to sway the momentum with Chorley in the ascendancy after taking the lead. But at the start of the second half it had not clipped the Magpies wings as Cottrell moved into the left wing-back role and Walker dropping into midfield with Carver up top on his own. And it was a defender Anson who took on the plastic pitch as he danced in from the right past a couple of yellow shirts before drilling the ball just wide of the right stick. Anson was soon in the action at the other end as he was booked for tripping Emmett just outside the box. but Thomson wasted the subsequent set-piece that was teed-up in an enviable position just outside the box firing it over Urwin's bar. Jansen decided to make a change sending on Whitham for Walker in the 61st minute. Though the Magpies were to finally concede in the 61st minute with the woman in black Welch at the centre of the action again. There was a long pause in action as she walked over to chat to her assistant after a goalmouth melee and then eventually pointed to the spot to award a penalty with Knowles beating Urwin to level things up in the 61st minute. Wilson came on for the injured Anson as Jansen switched from three to two central defenders to try and get a winner on the break. Chorley kept a lot of bodies behind the ball to live on the counter though the hosts were playing into their hands as they tried to find a way through but instead of keeping it on the deck they kept pumping balls into the mix which was bread and butter for Chorley's strong and tall defence. Leesley curled an effort over the bar as the Magpies held on, they had a few set-piece situations of their own but could not test James Belshaw. Whitham and Wilson gave them a touch more creativity and hold of the ball in the middle but they just could not find a final pass to undo the hosts. Thomson wasted another set-piece situation as Beck also nodded way over at the back stick with Harrogate creating the chances but failing to execute them as the game looked destined to go to extra-time. They left it late to finally get the ball down on the deck to fell Chorley and it did just that as Falkingham's strike eventually fell to the unmarked Dominic Knowles who beat Urwin in the 93rd minute. Harrogate: Belshaw, Fallowfield, Parker, Falkingham, Burrell, McCombe, Thomson, Emmett, Beck, Knowles, Leesley (Wright, 80). Subs: Cracknell, Lees, Agnew, Kerry. Chorley: Urwin, Challoner, Molyneux, Teague, Leather, Anson (Wilson, 68), Newby, O'Keefe, Carver, Walker (Whitham, 57), Cottrell. Subs not used: Gregory, Burgess, Hughes.